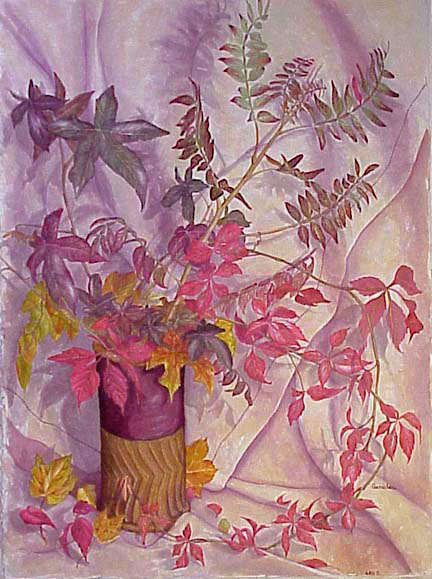 Original watercolor, still life, painting of southern fall leaves by Rose Ganucheau. In coastal Carolina, we have some amazing and often over-looked fall foliage. For this still life, I gathered some of our native jewels from my yard including, winged sumac, red maple, Carolina creeper (they call it Virginia creeper one state up, teehee), and my favorite for the amazing array of colors it produces; sweet gum.